Nick and Marc Francis (Co-directors/producers of BLACK GOLD) answer the questions that audiences from around the world have been asking ever since their world premiere at the Sundance Film Festival. Why coffee? Were you both heavy coffee drinkers before Black Gold? What did you want to achieve with BLACK GOLD? How did you meet Tadesse Meskela and why did you choose to feature his co-operative union in the film? What does 'BLACK GOLD' mean? Why did you focus so much on the cinematography? What was it like filming in so many locations globally? Why are none of the big coffee companies interviewed in BLACK GOLD? What were some of the challenges & obstacles in making the film? BLACK GOLD mainly highlights the gap between winners and losers of the coffee industry but it doesn't give the audiences any solutions - why? Can you explain the WTO scene - what's the WTO got to do with coffee? Do you think BLACK GOLD can end exploitation in the coffee industry? What equipment did you use & how did this affect the way the documentary was produced? How did your vision for the film change over the course of the production process? Music plays a big role in the film. How did it come together? How long did it take to make BLACK GOLD? Some people have said that they've been put off from drinking coffee - what do you think about that reaction? What has the response been from the big coffee companies? Is it true that Starbucks have discredited your film since its release? What has the response been from governments & international organisations? How successful has Tadesse been with his co-operative union? What has the impact been on Tadesse since BLACK GOLD was released? Have the coffee farmers seen the film- if so what was their reaction? Has the coffee crisis changed at all since BLACK GOLD was made? I was compelled to act after watching BLACK GOLD - what can I do and what are the solutions? Why has the coffee price fallen and why do the coffee farmers receive such a small share of the final retail price? Is fair trade fair enough? Is it the ultimate solution to the problems suffered by the coffee farmers? Can fair trade develop from being an alternative form of trade to being the status quo? Would you go so far as to say that aid is a waste of time? Is unfair trade a human rights issue? Why do you think Africa has remained in such poverty? We decided to make BLACK GOLD after it was announced at the end of 2002 that Ethiopia was facing another famine. Twenty years earlier in 1984, people across the world had been motivated to respond to this crisis by giving aid. The difference this time was that Ethiopian coffee farmers, known for producing some of the best quality coffee in the world, were also caught up in this new food crisis. Given that the global coffee industry was booming, making record profits for the largest multi-nationals, we felt that this was a story that had to be told - a story that could expose the exploitation in the coffee industry as well as highlight that the developing world want a fairer trading system rather than aid. We've always enjoyed a good cup of coffee - especially in the morning! We still go to cafes a lot to meet up with friends and colleagues but it wasn't our love for coffee that inspired us to make this film. We just felt that by telling the story through coffee we could show people how we are connected, through our everyday consumer lifestyles, to what is happening in Africa. It also serves as a great window into the complex world of international trade. It also worth pointing out that we could have made BLACK GOLD about many other commodities such as cotton, oil, and rubber where farmers are being exploited in similar ways. However, the unique thing about coffee is that it's one of the most universal drinks in the world and it can appeal to a large audience. During the making of BLACK GOLD we've met so many great people in the specialty coffee industry that we've definitely become more serious about our coffee. Also, meeting the coffee farmers and seeing what they have to go through has definitely moved us and has shaken us to the point that we can't help thinking about where it comes from. We wanted BLACK GOLD to motivate us, as Western consumers, to question some of our basic assumptions about our consumer lifestyles and its interaction with the rest of the world, and urgently remind audiences that through just one cup of coffee, we are inextricably connected to the livelihoods of millions of people around the world who are struggling to survive. We also wanted the film to challenge the stereotypical portrayal of Africa, often characterized in the Western media by an overload of de-contextualized images depicting poverty and helplessness. We also wanted to go beyond the simplistic messaging of; bad weather + starving people + give money = problem solved, and highlight the more positive stories - that the solutions for Africa are in Africa. And that's why the film was centered around Tadesse Meskela, an example of someone who isn't waiting for any outside support - he's actually doing something to change the situation. Crucially, we wanted to show the audience that the current international trading system is enslaving millions of people and is urgently in need of radical reform - we wanted people to wake up and smell the coffee..
During our research we read about Tadesse, and on our first trip to Addis Ababa in 2003 we interviewed him at length about the coffee industry. At the end of the interview he mentioned he was going to Europe, the U.S. and Japan to meet buyers to sell his farmers' coffee directly. He was so passionate and charismatic, we realized we immediately had to follow his journey, and so for the next two years we filmed with him in Seattle, London and back in Ethiopia. By focusing on Tadesse we thought he could serve as a kind of guide through this complex world of international trade and he could also help us create the direct link between consumers and producers. The Oromia Coffee Farmers Co-operative Union is also the largest in Ethiopia representing over 75,000 farmers. WHAT DOES BLACK GOLD MEAN? BLACK GOLD can mean many things but for us it's a metaphor for the rich natural resources of Africa. We wanted to create a cinema experience, so focusing on the cinematography was a vital part of the filmmaking process. We wanted to make the imagery strong and powerful enough so that the audience would enjoy sharing the global journey that we had been on - the journey from one continent to another, from one extreme to another. Also Ethiopia, for the last 20 years, has been shown in the media as essentially a barren desert. One of our goals was to show that Ethiopia is actually a stunning country with unfolding green landscapes - so it was really important for us to bring out the beauty of the Ethiopian landscape through our camera lens. Exhausting! There were so many variables all the time and everything was very unpredictable. Having said that, it helped us feel the story we were trying to tell. One minute we were in the New York Commodity Exchange where billions of dollars are traded, and the next in Ethiopian coffee fields where farmers are struggling to survive. That juxtaposition underlines the entire film. We wanted to include interviews with all the major coffee multinationals: Kraft, Nestle, Proctor & Gamble, Nestle and Starbucks. But they all declined our invitations, which you could say, speaks volumes about the transparency in the industry. In the case of Starbucks, we spent over six months trying to get an interview through their PR agencies and their HQ in Seattle. They declined all requests and went on to publicly discredit the film when it was released. One of the main challenges we faced was funding. Initially we had to put our own resources into starting the project, because we had to capture what was happening in the coffee areas of southern Ethiopia. Also the world trade talks were taking place in Mexico, and we couldn't wait for funding applications or broadcasters to give us the green light. The other challenge was keeping track of our main character, Tadesse Meskela, who is based in Ethiopia. Coordinating our schedules was never easy! But we overcame it all by working with a committed team of people who believed in this project; without their passion and dedication we wouldn't have been able to complete the film. Check out who was involved. BLACK GOLD MAINLY HIGHLIGHTS THE GAP BETWEEN THE WINNERS AND LOSERS OF THE COFFEE INDUSTRY BUT IT DOESN'T GIVE THE AUDIENCES ANY SOLUTIONS - WHY? Our main objective was to make an engaging and compelling film that could attract the widest audience possible. Imposing solutions within the film itself would have impacted on the way we wanted to craft our story. Above all, we wanted BLACK GOLD to provoke people into action and encourage them to find their own solutions...and that journey begins when they leave the cinema. People who want to find out more are now coming to the Black Gold website or joining campaigning organisations because they can relate to the issue in a way that they couldn't before they saw BLACK GOLD. CAN YOU EXPLAIN WHY YOU INCLUDED THE WTO SCENE - WHAT'S THE WTO GOT TO DO WITH COFFEE? We felt that we couldn't make BLACK GOLD without touching on the larger picture of international trade and how it affects millions of other farmers around the world. The World Trade Organisation (WTO) is the only international organisation dealing with the global rules of trade between nations. It has 150 member countries and in 2001 it launched the Doha Development Agenda which stated that "We are committed to addressing the marginalization of least-developed countries in international trade and to improving their effective participation in the multilateral trading system" (www.wto.org). One of the defining issues at the WTO is subsidies. Rich countries pay their farmers $300bn in subsidies every year making it impossible for developing countries to compete in the world market. This was supposed to be addressed at the world trade talks in Cancun in 2003, where we were filming. Developing countries accused the EU and US of reneging on their commitments outlined in the Doha Declaration and the talks collapsed. Since then these talks, which are fundamental to the livelihoods of millions of people, have yet to get back on track. Whilst subsidies in the EU and US do not impact on the price of coffee, (as coffee is not grown in those countries), it does limit the options for coffee farmers who want to diversify into other crops. For example, if it was possible for Ethiopian coffee farmers to diversify into cotton then they wouldn't be able to compete with subsidised cotton from the EU and US. In the case of Mali, it is cheaper to buy US cotton than locally grown cotton. As a result, thousands of cotton farmers have been left bankrupt. However, one way how trade rules directly impacts on coffee producing countries is through high tariff barriers that rich countries apply to finished products coming from the poorest countries in the world. This makes it virtually impossible for coffee producers to export a packaged bag of coffee into the EU or US because it would be far too expensive for consumers. Therefore, producing countries continue to export the raw beans which prevents them from capturing more of the value chain from a roasted packet of coffee. We don't believe that one film can change or solve a global and systemic problem. But BLACK GOLD can affect the way people think, and as Tadesse says in the film "Awareness is the first step to change". That for us is what is so uniquely powerful about film. The film was shot on light weight, 3 chip, DV cameras - Sony PDX10 and Sony PD100 which allowed us be discreet in various sensitive places we were filming in - we did not want to draw too much attention to ourselves. For the post-production we were extremely fortunate to work with Hugh Williams (www.thecuttingroom.tv) an outstanding editor and a specialist in long-form narrative documentary with over 15 years of experience. He cut the film on his own Final Cut Pro edit suite which ultimately gave us more time to experiment with the narrative and find the best way to develop the scenes. The film constantly evolved. The main challenge was to work on creating an engaging story, and about 18 months into the production, we screened a very early version to an audience of 100 people to get some feedback. After that, we realized we had much more work to do - we then spent another year in production developing the thrust of the story. We wanted to find a way of using music in Black Gold that could not only avoid African cliche soundtracks but also play on the juxtaposition between the two worlds that we see in Black Gold -the coffee drinkers/companies in the North versus the coffee farmers in the South. To achieve this, we involved a number of talented musicians over a long period of time, and working with them right from the beginning of the edit. We first started developing a series of tracks for the rough cut with Joe Henson and Kunja Chatterton where we searched for sounds and themes, and created a music style that avoided clich� African music. After the rough cut, when the structure of the story and the scenes started to evolve, we were awarded a place on the Sundance Documentary Composers Lab. Set in the mountains of Utah, we took part in an intensive workshop to develop further musical ideas for Black Gold. It was here that we met Andreas Kapsalis (https://www.andreaskapsalis.com/) who subsequently went on to score the final cut of the film. Andreas developed a caffeinated score using western instruments and vocalists, but in part fusing it with a series of samples of Ethiopian vocals and traditional instruments that had been recorded in Ethiopia by Matt Coldrick ten years earlier. There is also a featured track from Mathew Herbert (https://www.themechanicsofdestruction.org/) entitled 'Starbucks' - where the sole sound source is one caramel latte and one frappucino. It took two and half years from development to the world premiere at Sundance. But since then we've spent 18 months promoting the film across the world. We've been overwhelmed by the response internationally. Audiences have reacted in so many different ways. As soon as we premiered the film at the Sundance Film Festival we could sense the film was going to cause a reaction. The first person who asked a question at our Q&A wrote a cheque for $10,000 to complete a school featured in one of the scenes in the film. We heard that someone else divested $10,000 from one coffee company in protest of feeling that they had been misled. People want to leave the cinema and do something, and we see that happening all the time now - whether that is being a more conscious consumer by asking companies about their trade or pricing policies; or by signing up to organisations that campaign for equitable trade. For others it has changed their perception of their consumer lifestyle and how it relates to the world in which we live in. It's also changed people's perception about Ethiopia and Africa in general. In BLACK GOLD, you see an Ethiopia that is rich in coffee with green landscape, not a barren desert; a country that is rich in resources, with people, striving for change. This image is rarely given exposure in the news media. There are now thousands of visitors to blackgoldmovie.com each month who want to share their ideas and find out more...and this is just the beginning. If people stopped drinking coffee there would be a global economic disaster - millions of people would lose their jobs. There are 25 million coffee farmers out there, as well as millions of people involved in exporting, importing, roasting and doing a great job serving a good cup. The solution is for coffee farmers to receive a greater share of the billions of dollars generated from coffee. This will only happen when they can capture a greater share of the "value-chain" - by earning more than 3 cents for a $3 latte. This will happen when companies in Ethiopia can compete effectively on the world market. But that requires a shift in the way how international trade is done. In the meantime, the coffee drinker can help to change this if they ask companies to adopt ethical business practises and campaign for fairer trade. We've had representatives from the coffee multinationals turn up to our screenings all over the world from Sundance to Stockholm. We've been debating the issues raised by Black Gold live on news channels with Kraft and Sara Lee and we continue to try and engage coffee companies about how they work with coffee farmers. Starbucks and Nestle have visited Ethiopia since the release and are buying more of Tadesse's coffee (but we don't know at what price!). Several other major coffee companies have started to buy coffee from Tadesse too and interest in African coffees in general is growing. IS IT TRUE STARBUCKS HAVE DISCREDITED YOUR FILM SINCE ITS RELEASE? Just before Black Gold premiered at the London Film Festival, a Starbucks employee leaked a memo to the Black Gold forum, which he received from the company HQ. 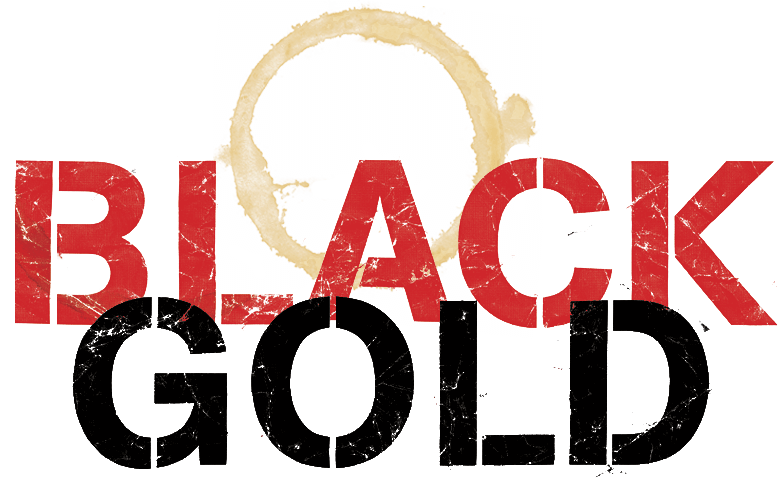 The memo informed all employees that Black Gold was "incomplete and inaccurate" (https://www.blackgoldmovie.com/forum/index.php?action=vthread&forum=4&topic=60) The Times of London observed, "Starbucks is now spearheading a public relations counter-attack." Overall, we're surprised at Starbucks' reaction especially as BLACK GOLD is not about Starbucks, nor is it an anti-Starbucks film. We have been quite overwhelmed with the reaction by governments and international organisations. The Ethiopian ambassadors in Washington, London and Berlin came to our premieres and released statements urging people to see BLACK GOLD. The EU, World Bank and House of Commons held a special screening of the film while international organisations around the world are using it as a tool to campaign and communicate their message. Since the Oromia Coffee Farmers' Co-operative Union was established in 1999, four new schools, seventeen additional classrooms, four health centres, two clean water supply stations have been built, and $2 million have been returned back to the farmers in the form of dividends. Tadesse has been touring the world with BLACK GOLD since its' release - not just promoting fair trade but Ethiopian coffee too. He is taking more and more orders from multi-national coffee companies and smaller companies from around the world, and his co-operative union grows from strength to strength. He received a special award from the Ethiopian Prime Minister, Meles Zenawi for his services to the Ethiopian coffee industry, and he recently took his message to 10 Downing Street where he met Prime Minister Tony Blair. The school featured in BLACK GOLD has now been built from donations from audiences who have seen BLACK GOLD and he continues to use the film as a way to campaign and spread awareness about his coffee farmers. He is still fighting to get a better price for his coffee - a price that can send children to school, have healthcare and a clean water supply. BLACK GOLD was screened in one of the coffee growing areas featured in the film. It was the first opportunity the farmers saw their lives being played out in the context of the global coffee industry, and they were totally overwhelmed by it. Black Gold has also been shown in other African countries including Uganda, Kenya, and South Africa, and other coffee producing nations including Mexico and Brazil. We want to keep showing the film in Africa and other coffee producing nations. It's not just about raising awareness here - if the 25 million coffee farmers around the world knew what was going on, they'd be outraged by the exploitation of the industry and they could begin to challenge the status-quo on local or national level, which has to be the ultimate link in the global campaign to make trade fair. Depending on what time of the day and what time of the year you ask that question, the answer is going to be different. The market fluctuates all the time and that's the problem. It's that unpredictability that is causing the farmers not to have any long term plan and sustainable approach to their work. Not that long ago, Ethiopia made another humanitarian appeal, the crisis is getting worse in terms of food dependency. They're asking for millions and millions of dollars to cope with another food emergency. Keep in mind this is a country that is the birthplace of coffee and produces the best coffee in the world. How can a country that produces such a valuable commodity be in such a crisis? We drink this coffee every day. If Africa's share of world trade increased by one percentage point, it would generate roughly five times the amount of money that they're receiving in aid. It begs the question: why isn't there a much more considered view of this whole trade-aid dynamic? As consumers we need to ask more questions to companies. We should ask questions about where things come from and send signals to companies that we don't want to buy from companies that exploit people. Remember, coffee is just one of the many commodities that suffer from the crippling trade rules which undermine the development of the world's poorest countries. Where do our bananas come from? Where do our clothes come from? Where do the things that our consumer lifestyle depends on come from? Consumers need to buy coffee (and other products) from companies that have an ethical business philosophy - a philosophy and outlook that doesn't exploit the people in the poorer countries who make these raw commodities. There's got to be a paradigm shift in the thinking of corporations who dominate the industry and people can affect that change. Corporations won't do it off their own back, but if they think they're going to lose customers - by virtue of people not wanting to support that brand they'll do something about it. Multinationals will only change if they think their profits will be affected. Consumers need to vote with their dollars and send a signal to the shareholders of these companies that says it is simply unacceptable in the twenty first century to accumulate billions of dollars from people in the poorest countries of the world working on a wage for half a dollar a day - half a dollar away from slavery. That's what happened when companies were boycotted during apartheid in South Africa and that's how the fair trade movement in the UK began: because consumers wrote to companies and asked them questions. We can also exert ourselves as global citizens. More and more people are joining protests and petitions that challenge the large international institutions (WTO, World Bank, and the International Monetary Fund) that impose unfair policies on countries in the South. Together with western governments they create an international trading environment that keeps the poor even poorer by denying access to our markets, maintaining an unfair subsidy system, keeping them dependent on our aid, indebted to our bank loans and ignoring the issue of transparent governance and corruption. This has to stop and global citizens need to make our politicians know. Since the International Coffee Agreement collapsed in 1989, the supply of coffee has not been regulated on the market leaving coffee farmers constantly vulnerable to price fluctuations and low prices. An agreement needs to be put back into place that will give the coffee producers the power to get the price they deserve on the international market. Africa needs to find ways to not just produce raw commodities - it needs to develop its own infrastructure and compete on the world market with everyone else. Take coffee and Ethiopia - rather than just producing the green beans, if Ethiopia could process, roast, package and compete on our supermarket shelves much more money from the 3 dollar cup of coffee would go back to the Ethiopian economy. Another example is trade marking. If countries like Ethiopia could own the trade mark to their own brands more money could go back to their economies. Support Ethiopia's Trademarking Initiative. The goal of the trade marking initiative is to help Ethiopia's coffee sector- including farmer cooperatives - earn more from its valuable coffee brands, increase its negotiation leverage through control of the trademarks, and ultimately increase the price received for its best coffees. After initially blocking Ethiopia's attempt to trademark its coffee names, Starbucks is considering to give way, following a global campaign supported by Oxfam and Light Years IP. At our world premiere at Sundance, we heard that someone divested $10,000 from one coffee company in protest of feeling that they had been misled, and re-invested in a more ethical company. You can also use your shareholder power, by buying a share in a company, turn up at the Annual General Meeting and ask questions about the company buying policies. Firstly, since 1962, the International Coffee Agreement controlled the coffee supply onto the international market. The agreements included both importing and exporting countries, limited excess supplies using a quota system, implemented price controls and promoted an increase in coffee consumption. The first agreements helped to strengthen the economies of coffee-producing countries in Africa and Latin America. The success of the International Coffee Agreements was owed in part to the United States, who helped to enforce the quota system in an effort to prevent communism from destabilizing poor Latin American countries. But when the U.S. pulled out from the agreement in 1989, coffee prices plummeted. Secondly, increased production and export of coffee has been strongly encouraged by international donors as a way for developing countries to earn much needed foreign exchange in order to meet stringent budget targets and international debt commitments. In Vietnam, production of the cheaper Robusta coffee tripled from 1994 to 2000 making Vietnam the world's second biggest coffee producer. Brazil doubled its production of Arabica beans in the same period further contributing to a market awash with mostly lower quality coffees causing downward pressures on the international market price for coffee. Developing countries find themselves trapped in a situation where corporate market control and lack of investment keeps them as mere raw commodity producers and exporters of the green beans, and are unable to compete against the big coffee companies in the processed coffee market. If developing countries could capture more of the value chain of coffee, then more money from the coffee packet would go back to the economy of the producer country. When developing countries can create their own Nestles and Starbucks then there will be a greater chance of a more equitable trading system. This is a very big question and there's only space for a couple of thoughts here from both sides of the debate. Fairtrade is a good first response to this grotesque disparity of income in the coffee value chain. It seeks to mitigate the worst effects of fluctuating and falling coffee prices for farmers by guaranteeing a minimum price for the coffee producer. Making an effort to buy fair trade coffee is therefore an important first step for every consumer who wants to address the coffee crisis every time they have their beloved cup. Furthermore, it's a transparent system which has huge benefits for the farmers who sell their coffee under the Fairtrade label. It has also done a great job of introducing to the mainstream public the notion of 'trade' needing to be 'fair'. However, some people argue that the Fairtrade price has been set too low, leaving many companies paying a minimum price which is still not enough for the producers. Another concern is that fairtrade does not benefit all the laborers in the coffee industry. Furthermore, there is a growing concern that the multinationals have already hi-jacked the fair trade movement. They have been awarded the label for which Fairtrade products account for an insignificant amount of their overall activity which is allowing them the benefits of 'ethical' messaging without actually being genuinely ethical in their trading standards across the whole business structure of the company. Companies need to embrace and embody the idea of fair trade within their entire corporate structure and not just sell 1-2% of their products under the fair trade certified scheme. Finally, whilst Fairtrade cuts the number of middlemen between the farmer and the consumer, and provides a stable and consistent price to the farmers, it doesn't address the power held by Western roasters and trading companies which essentially upholds a colonial style trading pattern of coffee. Yes, absolutely. Hopefully there will be a time when there's no distinction between fair trade and any other trade; trade itself should be fairer than it is. But that doesn't need to be a charitable thing, it's about having a level playing field. What we're seeing now in the world is a very unlevel playing field. The Malawi Minister for Trade, coined it perfectly in BLACK GOLD. He said: "We don't want aid, we want trade". African nations want to trade their way out of the situation, but there are corporations and international institutions that are preventing it. The relationship between governments and corporations is becoming increasingly blurred, and one of the defining questions of the next decade will be about how producers and consumers fall into that equation as they get more and more marginalized and less empowered. How will they re- empower themselves? The story of Tadesse Meskela, in BLACK GOLD, shows how someone, on a micro level, is trying to do something about it in a way that gets results. No - it all depends on the kind of aid. If aid was actually helping a coffee farming community to invest and build an infrastructure so they can develop their own systems then it would definitely be helpful. But too often aid is only given as emergency relief. Africa has received billions of dollars in aid yet it is poorer today than it was twenty years ago. Despite the aid, the continent is still being looted by the west. The next big challenge for Africa is how it manages its relationship with China and whether the continent can end the economic apartheid that condemns so many people into extreme poverty. There's a direct link between unfair trade and human rights abuse. For us, human rights is about whether people can drink water, and whether they can go to school. Right now we are seeing the global economy undermining the rights of millions of people to have access to the very basic necessities in life. There are many complex reasons why the situation has continued in Africa -debt, aid dependency, corrupt governance, and unfair trade rules are just some. Black Gold just focuses on equitable trade as we believe this is key to unlocking the cycle of poverty in Africa. The fact is that Africa has many resources including: oil, rubber, copper, cotton, coffee and diamonds. Africa could be one of the richest continents on the planet, but they're not. If you live in Mali for example, it's cheaper to buy subsidised imported American cotton in the local market than it is to buy cotton from the local Malian people who produced it just down the road. It's a crazy economical situation that is killing opportunities for local producers. Everyone we have come across from civil society or government in Africa has basically articulated that very point. How do you create a level playing field, how do you not get ripped off? And that's the main thing that we hear all the time. But what's really needed is to shift our perceptions. If we continue to perceive Africa as the 'third world', then that just makes them the 'other'. We need to see Africa as part of a global community. We are no more 'first' than they are 'third', and the idea that there's a hierarchy is something which needs to shift straight away. There are 30,000 people who die every day because they don't have access to basic needs and services such as water and health care. If that were happening in the Western world, it would be classed as a state of emergency. The question has to be asked: how can this be allowed to happen anywhere in the world? How can people turn a blind eye? Is it not because we all suffer from a pathological indifference? We think, 'it doesn't affect me, and I don't need to do anything about it'. But it does have everything to do with us - even when you do something like drink a cup of coffee.